Portland Neighborhoods: Identifying the right neighborhood is a great first step to buying your home. This site will guide you through the culture, lifestyle and practices found in each pocket. Links to neighborhood associations, business listings and hyper-local statistics can also be found here. 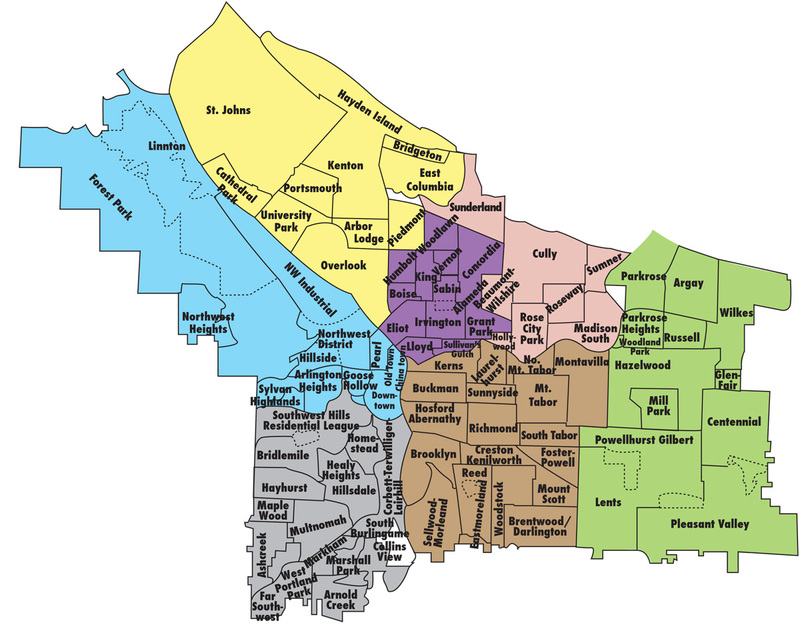 Portland Maps: Explore noise, schools, crime, development, permits and census data for a particular address or neighborhood as provided by the City of Portland. Walk Score: We are so lucky to live in one of the most walking, biking, and public transit friendly cities! Find out the walk score of your choice neighborhood here. Portland’s Bureau of Planning & Sustainability: Examine zoning code, development and transit projects, find garbage recycling and composting centers and even get a list of farmer’s markets. Rental-Data.com: Find rental properties that are listed by landlords themselves without the craigslist clutter. .
Find an Apartment: Search apartments in any Portland neighborhood. Clean Energy Works of Oregon: Improve the energy efficiency and help your home get healthier and more comfortable. Pocketbooks breathe easier and even your home’s value can look brighter. From the initial home energy assessment, to approved contractors, to financing, to the inspection that assures your upgrades perform. Energy Trust of Oregon: Providing cash incentives for energy-efficient upgrades to single-family and multifamily site-built homes. Find recycling programs and access energy saving resources and contractors who can perform the work. Window Inserts: Indow Windows are for homeowners looking to increase the efficiency of their windows while holding onto their historical integrity and pocketbook.